The former TV personality turned politician has become the first accredited living wage employer in the city. A former TV presenter turned politician has made HR history in Rotorua after becoming the city’s first accredited living-wage employer. 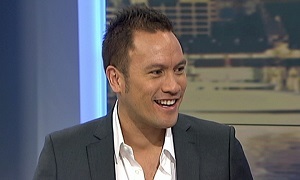 Kiwi favourite Tamati Coffey confirmed yesterday that his 2015 venture – Ponsonby Rd Lounge Bar – had been officially recognised as a living wage employer. The independently-calculated living wage currently sits at a minimum of $19.80 an hour – $4.55 more than the government’s minimum wage. Tim Smith, who opened the venture alongside partner Coffey, says the switch was a savvy business decision which made good economic sense. Both Smith and Coffey also called on other employers in the hospitality industry to amend their current pay practices. “Many hospitality workers in our country have kids to feed and bills to pay on minimum wages that just aren’t keeping pace,” scolded Smith. “Instead of hospitality being labelled with offering wages that hold back many kiwi workers and their families, let us as an industry be known for offering fair wages that value contribution and boost our people forward,” he urged. An estimated 800,000 people in New Zealand are currently considered to be living below the poverty line with hospitality a key source of minimum wage positions. For more HR news and info, subscribe here.